BF850 Cuts all Building Materials With Real Diamond Wet & Dry Cutting.. 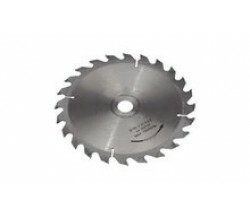 The BF850 Series Diamond blades use Real Natural Diamonds and have a 12 mm Diamond rim for Extreme s..
Marcrist - BF750 Building Materials - Concrete Products - Natural Stone - Steel Wet & Dry Cutting..
Marcrist BF850 Cuts all Building Materials With Real Diamond Wet & Dry Cutting Ideal for Wall Ch..
For use on Milwaukee V28 Metal Saw.. Fastest universal cut ever Armoured blade core for safety Self cooling Extreme speed Extreme lon..
Marcrist Building Materials - Concrete Products - Natural Stone - Steel Wet & Dry Cutting.. The ultimate blade for cutting steel & ferrous metal, aluminium, plastic & non ferrous metals wood &..